Hoxne Community Dig a Huge Success! No gold hoard this time but Hoxne Community Dig was a huge success! Over the weekend the sun was shining and temperatures soared to around 30C – not the ideal conditions for hard work and digging one metre – deep holes. 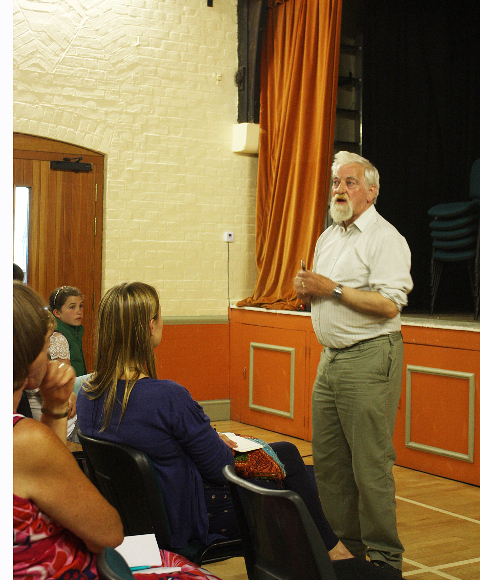 Nevertheless the villagers of Hoxne turned out in force over three days to participate in The Story of Hoxne community dig – a Heritage Lottery funded project, part of the All Our Stories programme. The project, led by the Hoxne Heritage Group with the expert support and supervision from Suffolk County Council Archaeological Services, aimed to involve the community in researching the development and continuity of settlement in the village and to raise awareness and appreciation of its heritage to protect it for future generations. Test pits were excavated in 28 garden locations throughout Hoxne and were the subject of great interest to a steady stream of visitors, including the media, cyclists and hikers from outside the village. 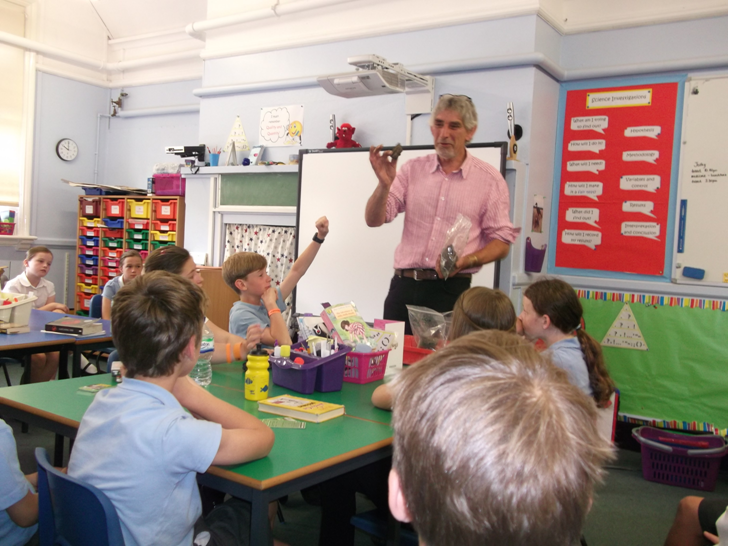 Additional interest and excitement was elicited by Eric Lawes, the discoverer of the famous Hoxne Hoard of Roman gold, who checked the test pits and spoil heaps with his metal detector. Unfortunately, no gold was found this time but many artefacts of interest, some dating back to the 12th and 13th Century, were found. Sherds of medieval pottery were found at a number of locations. There were also a few examples of archaeological interest indicating earlier buildings or tracks had existed formerly. Further analysis of the finds, and the interpretation of their significance to the development of the village, is ongoing and will be reported back from SCCAS in due course. See our web site, http://www.hoxnehistory.org.uk, for more news in the near future. It doesn’t seem 5 minutes ago since we had our pre-dig registration meeting on June 18th and here we are on the eve of the main event! 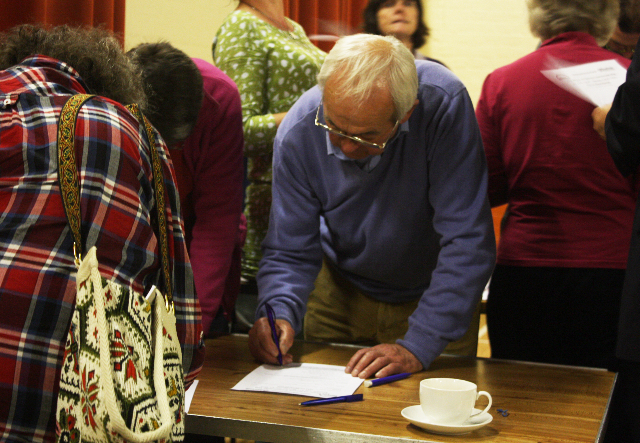 The meeting on the 18th was hugely successful with over 70 attendees. 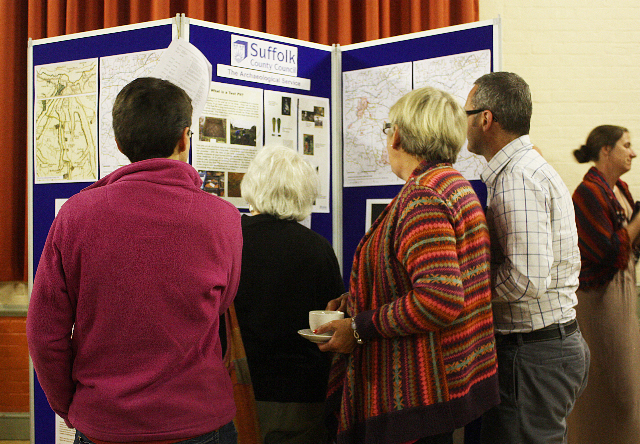 The Suffolk archaeologists had put up an impressive presentation of old maps and articles of historical interest of Hoxne, which attracted a lot of interest. This will be displayed again throughout the main dig event to allow people more time to digest the information. We had 38 offers of dig sites registered, which now poses a problem as we are funded for only 24. However, many sites cannot provide people to dig and although we are expecting a number of diggers to turn up on the days we are not sure how many. These sites will be prioritised by the archaeologists and diggers assigned as they turn up. 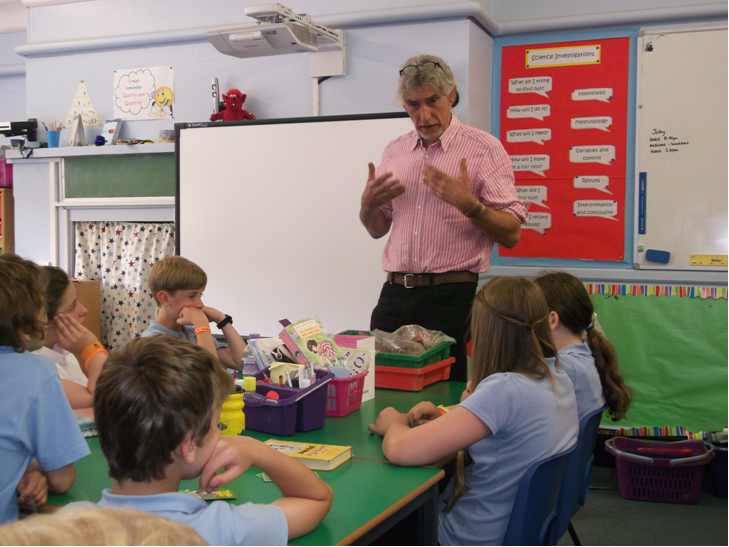 The meeting commenced with a fascinating talk by local archaeologist Mike Hardy. He recounted his 40 years of Field walking in the Waveney Valley and showed some intriguing slides of artefacts he had found. A really great introduction to the evening.